BUFFALO -- A concert that had been slated for Friday at Artpark will now take place at Town Ballroom, according to a release by Artpark. The release, offered on the venue's Facebook page, does not explain the reason for the relocation, but states that the show will still begin at 8 p.m. with doors opening at 7 p.m. -- just as it was to have been at Artpark. It also states that tickets bought through Artpark will be honored. 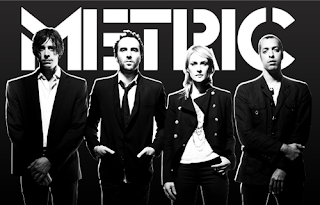 Funtime Presents announces that the Metric concert scheduled for this Friday, September 23 at Artpark’s Mainstage Theater and managed by Funtime Presents has been relocated to the Town Ballroom (681 S. Main Street, Buffalo) in what will be a rare club appearance for the band. The concert, featuring opener Humble Braggers, will keep the same start time of 8pm with doors opening at 7pm. All tickets purchased through Artpark will be honored at the Town Ballroom and those ticket buyers will be given an early entry opportunity. Will call tickets can be picked up at the Town Ballroom on the day of the concert. Limited tickets are still available for $48.00 and can be purchased online at www.townballroom.com or by phone at 716-852-3900. Patrons with relocation or ticket issues may call the Town Ballroom at 716-852-3900. Some Facebook comments expressed displeasure with the relocation for one reason or another -- largely the change from ticketed seats to a general admission venue. Artpark replied to all with a suggestion to contact Town Ballroom.